Will You Burden Your Children to Pay for Your Funeral? Nobody intends to leave their funeral bill for their children, you probably have some life insurance and you certainly have money that can pay this bill. The problem is that things change and are often out of your control. Your health changes and suddenly you find yourself needing money to pay for long-term care, lots of it. This happens to about 70% of us according the Health and Human Services (HHS). Yes, the government will pay for long-term care once you prove that you are impoverished – broke. You must spend down everything you have to less than $2000. You must cash in your life insurance if it is more than $1500. You get to keep $45 per month out of your income and the remainder goes for your care. When you die the $2000 goes back to Medicaid. So who will pay for your funeral? Even if you have money left at death, it is locked up for some time by the probate process. Transfer on death requires a death certificate before the funds can be processed and the funeral home wants a credit card FIRST. Life insurance also requires that death certificate, plus forms, plus processing, you get the idea. What if you could have a special account for final expenses. One that releases the funds to pay those bills the moment of death, before the death certificate has been produced. Before they have picked up the body. It is called a burial trust. Medicaid makes you cash in life insurance over $1500 but lets you put up to $15,000 into this account. It earns about twice the rate of interest that your bank’s CD pays (still nothing to write home about). The money is safe from everything and can only come out to pay those bills. Your children do not need to drain their savings account, use their credit cards, or visit the payday loan store. Funeral homes process bodies. Trust companies handle money. 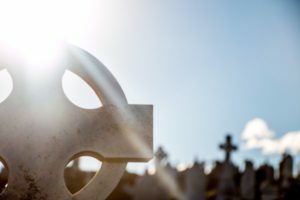 This is often a long-term care issue so these burial trusts are available without fees from The Long Term Care Guy here in Green Bay. View the 4.6 minute video on this at the bottom of our home page (just scroll to the bottom). www.TheLongTermCareGuy.com Then call us at (920) 884-3030 to learn more. PS: If you are spending down to Medicaid you know you cannot give money away with one exception – you can fund these for your children and even their spouses, and Medicaid rules allow this. Who would you rather leave money to, Medicaid, or your family?